The more you tell us, the better MuseScore gets. Q Can I notate music with this app? Q Can I open my own .mscz files with this app? Follow MuseScore and share your feedback. 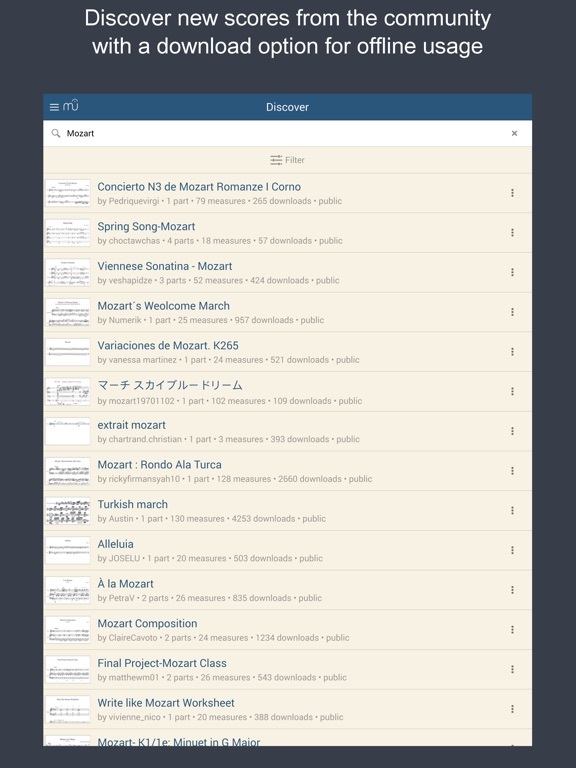 â€¢ The MuseScore Pro subscription gives you unlimited access to the app's premium features and musescore.com website's premium features. â€¢ Any unused portion of a free trial period, if offered, will be forfeited when the user purchases a subscription to that publication, where applicable. Price are equal to the value that "Apple's App Store Matrix" determines is the equivalent of the subscription price in $USD.